Colons are used to introduce a list of items. 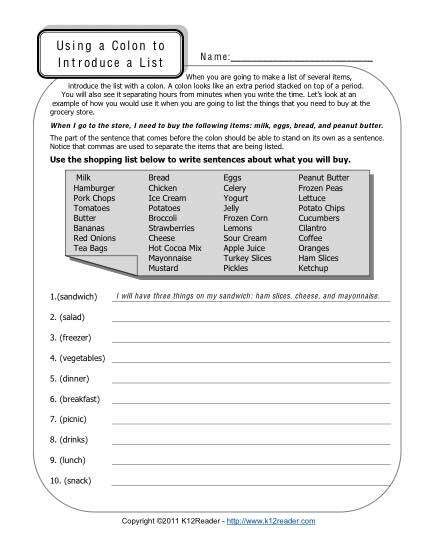 This worksheet provides a great practice for this punctuation rule. Use it to hone your 9th or 10th grade student’s punctuation skills in keeping with Common Core Standards for Literacy, or for other students as needed.